Tony graduated from Sydney University with a Bachelor of Arts degree in 1962 and a Bachelor of Laws degree with first class honours in 1966 then completed a Master of Laws degree at Harvard Law School in 1967. Tony was a Fulbright scholar to Harvard University. Tony was, for twenty three years, examiner in Company Law for the Barristers and Solicitors Admission Board and was also an Alderman on North Sydney Council between 1971 and 1983 and Mayor between 1977 and 1978. Tony was a partner of the firm of Stuart Thom & Co which merged with Pigott Stinson in 1990. 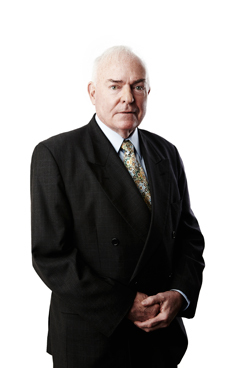 In 2005 Tony retired from partnership to take up a role as a consultant to Pigott Stinson. Tony is a director of private companies and a trustee of several substantial private charitable entities. Tony acts for a number of privately owned companies and private trusts and individuals.